It’s that time of year again. The weather turns cooler, the leaves change colour and start to fall and the kids start planning their Halloween costumes. The moms and dads start dreaming of all the candy they will steal from their little ghosts and goblins after bedtime on October 31st as well. 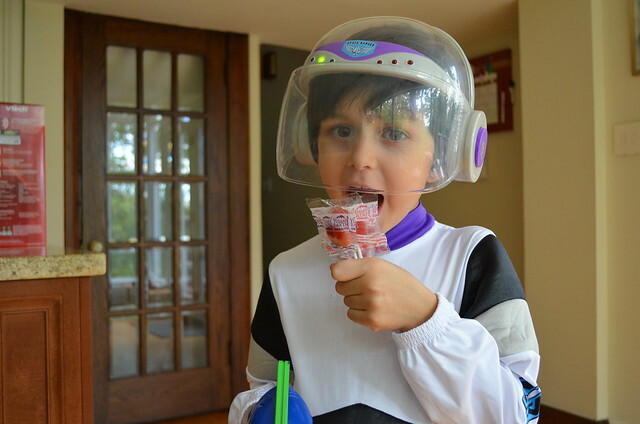 With the huge surge in allergies and the desire by many parents to limit the amount of “junk” their kids eat, it is also an opportunity to think outside the box and dole out some non-traditional Halloween treats this year. Here are some great alternatives to the standard chocolate and candy treats that can be found at your local health food store and even dollar store. 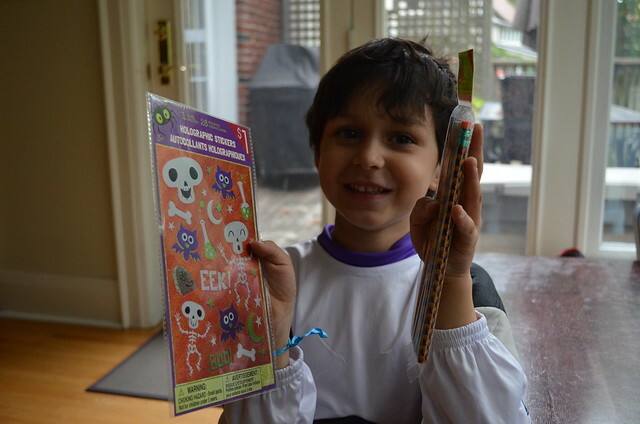 Head over to your closest dollar store for some cute Halloween or fall themed stickers that the kids can use to decorate their favourite binder or save for next year for special Halloween or Thanksgiving crafts. For the past four or five years Costco has been carrying gigantic bags of mini Play Doh containers. Kids love Play Doh and the little containers are just the right size for trick or treaters. Plus, it is a treat that will last much longer than a stick of gum. 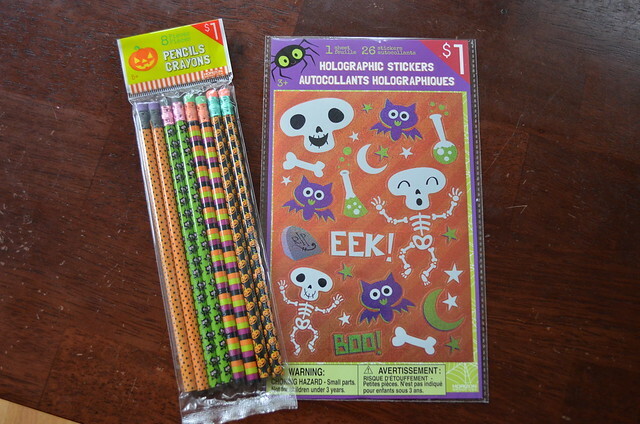 Most dollar stores carry a huge assortment of Halloween or fall-themed pencils and erasers at this time of year. Kids love getting new pencils. This is actually a practical goody as they can use it for quite a long time and if your house is anything like mine, pencils seem to go missing in action all too often. If you just cannot stand the idea of not handing out treats, there are some amazing and safe alternatives to the standard sugar-laden options at the corner store. The Endangered Species brand has a Halloween pack that features small individually wrapped bite-sized dark chocolate squares that are vegan, non-gmo, kosher and gluten free. Annie’s Homegrown offers a great pre-packed Halloween-themed Bunny Graham cracker pouch that is a great change from bags of chips or cheesies. Most kids love Annie’s products and with the special Halloween colours this makes a great option. These crackers are made with organic wheat and are free of artificial flavours, synthetic colours or preservatives. Lastly, if you must give out candy (perhaps because you really just want to feel less guilty about eating the leftovers?) look no further than YumEarth Organics. With a product line that includes everything from lollipops to gummy bears, they’re individually wrapped and the perfect sizes for Halloween, so you can feel better about the treats you are handing out. These candies are Certified USDA Organic, include real fruit extracts, no artificial colours or flavours, no high fructose corn syrup, are Gluten Free, and completely free of peanuts, tree nut, dairy, eggs, shellfish, soy, and wheat. They are also 100% vegan and many include the daily recommended dose of Vitamin C! Halloween is personally my favourite holiday of the year. I love fall and I love candy! But I also love that my kid is willing to trade most of his candy for a new toy every year. I pick out my old childhood favourites each year and send the rest to work or off to the food bank as a donation. I am happy for him to enjoy treats the day of and then get back to normal eating by the next day. With the winter holidays approaching so quickly, it seems after Halloween it is just treat after treat after treat. This year I am going to make sure I am handing out something that I would be happy for my son to eat. It just feels right. Do you hand out good old-fashioned Halloween treats? Are your kids limited to the number of their stash they are allowed to eat? What is the best non-candy or chocolate goody you have discovered in your child’s bag at the end of the night? Great ideas!!! 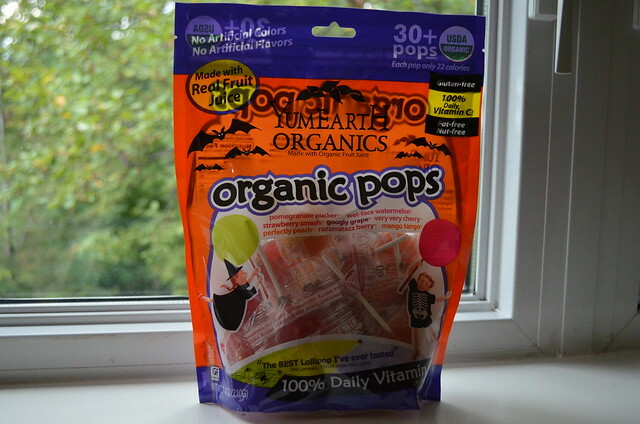 Love the organic candy! Great suggestions! As a kid, I loved getting stickers, pencils, etc…. This is a great idea to give out stickers and eliminate some of the sweet treats. We still hand out candies, but we limit the amount our children get. I love it when they get play doh in their bags! these are great suggestions! I think the kids will love a bit of something new! It’s always nice to switch it up for them! These are all great ideas! We usually give out a small piece of candy with some other kind of treat! I like your post on ‘Alternative Hallowe’en sweets.’ I know the smaller children will love stickers but I think older ones would probably rather have organic candy or chocolates, or, as one entrant commented, maybe microwave popcorn would entice them. It is certainly something to seriously think about. I like to hand out the mini playdoughs too, we give them out for the kids at school as well. I love when my kids get toothbrushes and floss from houses on my street. I love the Playdoh idea as a treat. My boys would love this. This is a great post with many ideas,i just picked up Pencils and Erasers now i need to find Play Doh and stickers ! !